The true greatness of James Cameron’s record-breaking space opera is not in its conception but its execution. Avatard. That was the response to me choosing James Cameron’s 2009 behemoth as the greatest blockbuster of the 21st century so far. Avaword. 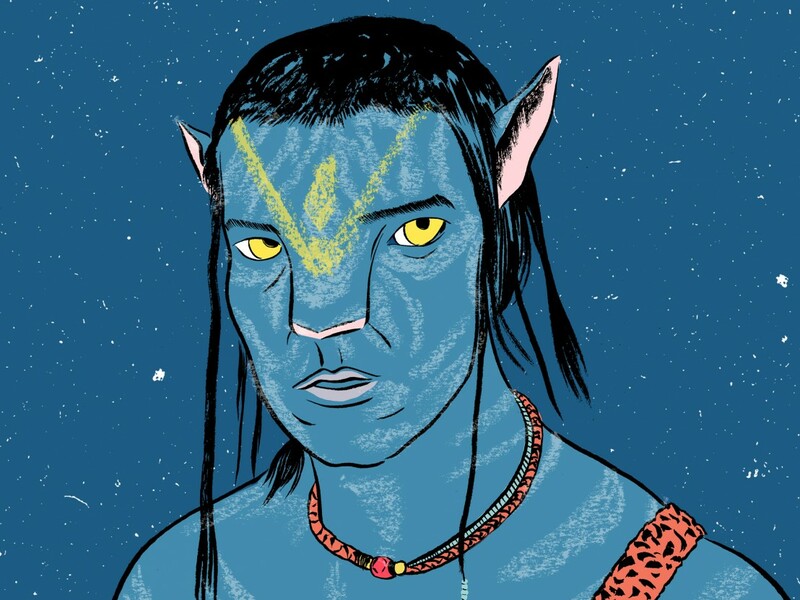 The court of public opinion has not been kind in the seven years since Avatar’s release. 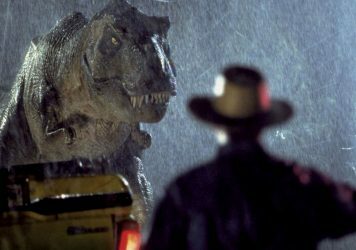 The backlash against the most commercially successful film of all time was swift and severe, dominating opinion pages on and offline as comprehensively as the film itself dominated screens. “What is the lesson of Avatar?” asked one Boris Johnson in the Telegraph, “It is all about the folly of mankind, the greed that impels us to try to gratify our wants with a system of capitalist exploitation.” Irony by any other name would smell as foul. With four sequels on the way, what little conversation that surfaces today on Cameron’s franchise-in-the-making revolves around questions of the public’s appetite for a return trip to Pandora and its lack of visibility in the pop-cultural hive-mind. It’s easy, of course, to glance at the filmmaker’s track record with sequels; his unwillingness to rush projects to fruition. Seven years passed between Alien and Aliens, seven more between Terminators. The iceberg of collectively-willed schadenfreude dumped in the path of Titanic in the long run-up to its release is easy to forget in the wake of the director’s dudebro self-coronation at the 1998 Academy Awards. It may be hard to ignore the air of smug self-satisfaction he exudes, but history insists it’s a bad bet to underestimate James Cameron; Avatar being just the most recent proof. As with Titanic, it’s not merely the scale of Avatar that points to its success but the clarity with which Cameron operates. 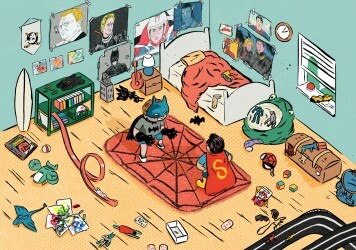 It’s there in every element of the production, from image-making to narrative trajectory. It’s reasonable to argue – with little disagreement here – that character and narrative are painted in the broadest of strokes. Cameron deals in archetype, keeping the bigger picture simple – not simplistic – as a means to universal appeal. It’s old-fashioned storytelling at its least cynical, outward-looking in an age of commercial cinema dominated by the pseudo-gravitas of ubiquitously tortured interiority. Like so many great genre filmmakers before him, Cameron appropriates and embellishes. Avatar freely takes the skeleton of its narrative structure from multiple sources: the revisionist westerns typified by Delmer Daves’ Broken Arrow and Sam Fuller’s Run of the Arrow; the fiction of Rudyard Kipling and Edgar Rice Burroughs; the vast canvas of David Lean’s Lawrence of Arabia; the ecological distress of John Boorman’s The Emerald Forest. Kevin Costner took much of the same for his stately plod to Oscar glory, Dances with Wolves, a film of decorative beauty that largely fails to imbue its images with any real meaning or thematic weight. Given the range of think pieces generated in the wake of its release – both positive and negative – Avatar certainly isn’t wanting for allegorical interpretation. From questions of its anti-imperialist stance to its racial politics, its pantheistic imagery to its eco-anxieties, each is as valid as the next. Yet while Avatar might not best be described as ambiguous, no single thematic element is foregrounded at the expense of another. Argue all you want about the extent of its complexity in any given area, but it remains as cohesive as it is inclusive in its readability, no doubt a part of its broad appeal. If on a macro-level Avatar operates as a series of grand gestures – Cameron knows all too well that the devil is in the detail. As the very embodiment of the cinematic vanguard of innovation, it’s no surprise that the allegory most uniquely Cameron’s exists at a crossroads. Avatar makes multiple allusions to the act of seeing – from the slow-reveal of the world and customs of Pandora to its (eye-)opening and closing shots – the moral implications of which are transferred to the audience through a distinct use of 3D. 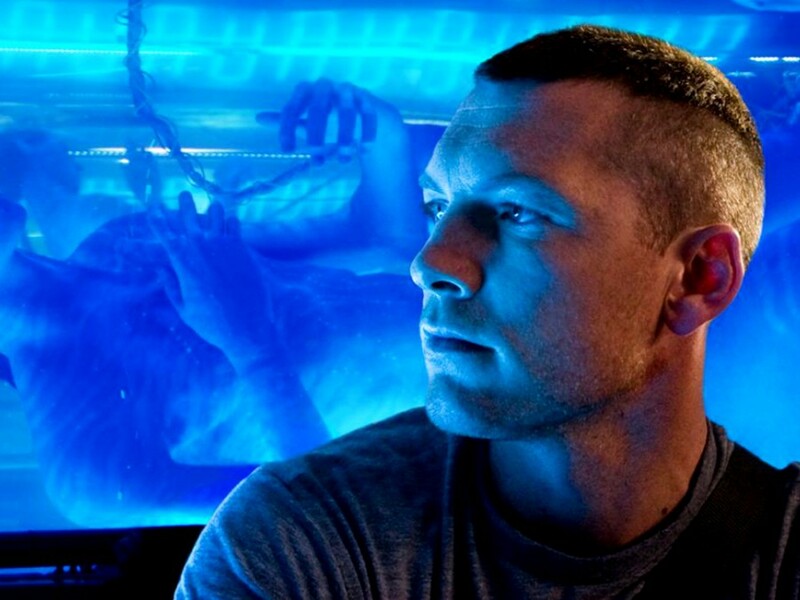 It’s a film that questions (as the Terminator films did before it) the hubristic pursuit of technological advancement while relying on just that to bring its audience-proxy – Sam Worthington’s deliberately blank slate, Jake Sully – to a primitive state of grace and its audience to an unprecedented level of hyper-immersion. “Teach me how to see,” says Jake, an invitation Cameron extends to the audience. “I can’t believe that many of these gloomy post-Avatar Westerners, when they really think about it, would want to up sticks to Pandora and take part in Na’vi society, with its obstinate illiteracy, undemocratic adherence to a monarchy based on male primogeniture and complete absence of restaurants.” There’s just way too much to unpack in that statement, even on a factual level. Suffice to say that the Na’vi’s matriarchal culture and Cameron’s focus on strong female characters remain consistent with his career-long vision. Finally though, where Avatar truly attains its greatness is not in its conception but its execution. Cameron stacks images of breathtakingly rendered ambition, building his world in stages marked by set-pieces of staggering virtuosity. A master of rhythm and movement, of choreography and screen-geography, the film’s epic final battle proves a peerless exercise in action construction. The co-ordination of the sky-battle – it’s escalation, sub-scenes, re-escalation – before its reduction to a two-on-one death match is a sequence of which the likes of Joss Whedon or JJ Abrams can only dream. Shock and awe, indeed. Ooh Rah. 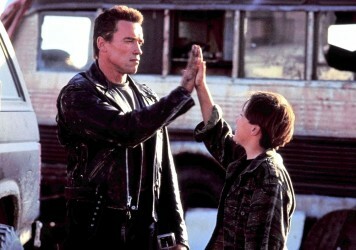 James Cameron’s original and best Terminator sequel has always existed on its own spectacular terms.